SAMEKOM offfer superior design to hospitals glass entrance door, minimizing a its heating or air conditioning losses, while maximizing energy savings. 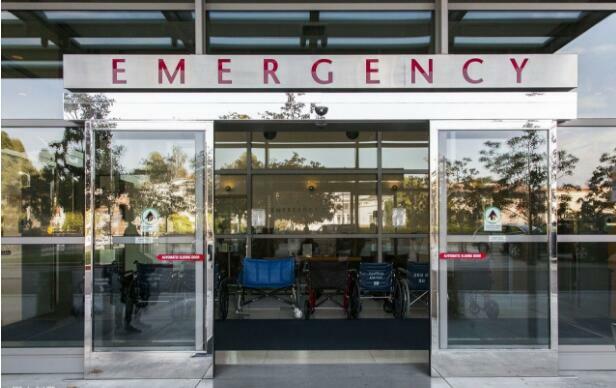 Samekom offer both aluminum frame or framless glass entrance door for hospital use. a)Safety bea sensor safety to prevent from clamping person. b)Auto-reversing when confronting with obstacle. c)UPS when power fails to provide escaping passage. d) The microcontroller also provide the interface for alarming system ,safety system ,etc. Reliability: The sliding operator can workwith low noise for a long time by using high-efficiency DC brushless motor With the help of advanced synchronous belt and perfect design of power supply circuit , the door moves very stably.High reliability which is proved by trouble-free million times trial running. Energy Saving With the help of semi-open function, so this can help to keep the temperature and humidity inside the room and to minimize the costs of the air conditioner as well.